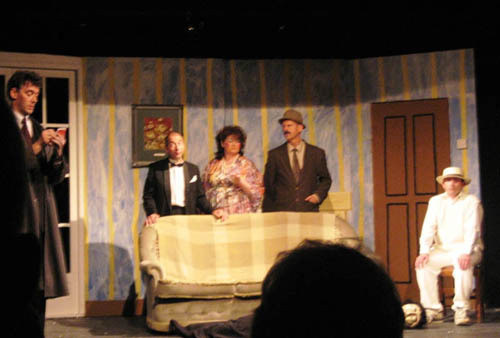 People have told us that our plays tend towards the tragic, the serious and the suicidal. 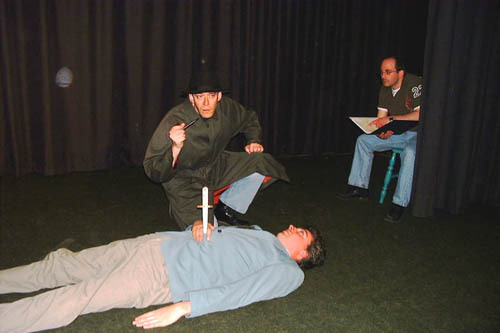 With this in mind Jez Ashberry chose four short plays in the ‘Coarse Acting’ series by Michael Green for our summer 2006 production. 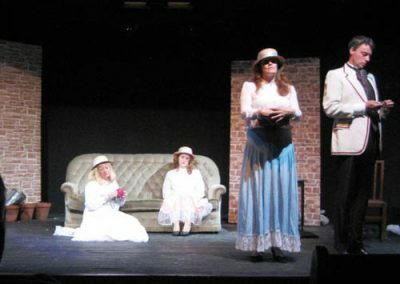 The essence of Coarse Acting is theatre done badly for a variety of reasons: it could be bad actors, forgotten lines, unreliable props, dodgy sets, ill-judged costumes or a combination of all the above. Our selection was ‘Streuth!’ (a country house murder mystery), ‘The Cherry Sisters’ (a tragedy indebted to Chekhov), ‘Stalag 69’ (a wartime POW drama) and ‘Il Fornicazione’ (an opera). 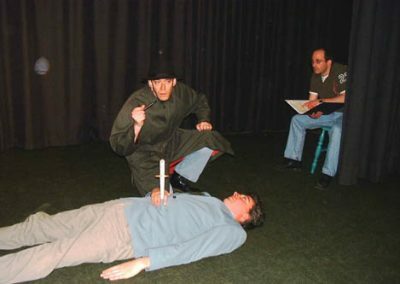 It goes without saying that it looks easy to do theatre badly, but it is in fact terribly difficult. I hope we carried it off successfully. 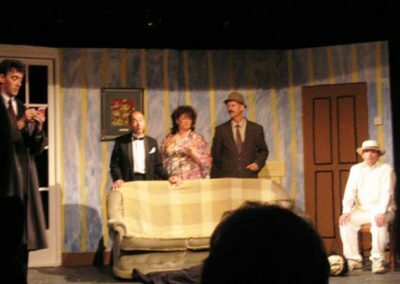 We staged the entire evening as a fictitious theatre group, the hapless Chapel Hill Amateur Playgoers Society, and tried to be true to the conceit throughout, from the chaotic efforts on stage to the hopeless interval pianist and the disastrous attempt at bingo at half time. 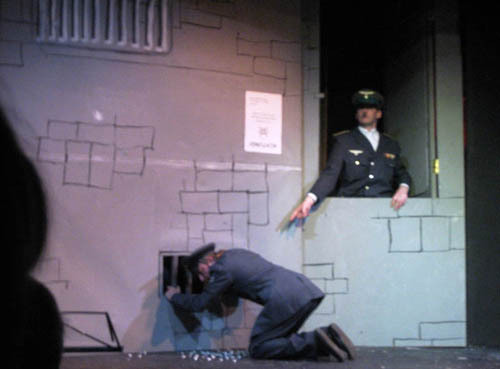 We also found building and striking four different sets on a small, dark stage quite challenging – not least because the set for Stalag 69 had to be built upside down to begin with and then turned through 180 degrees, only to collapse entirely during the course of the play. The Lincolnshire Echo’s critic enjoyed ‘some great Acorn Antique-esque moments’ and particularly praised the ‘very funny’ Stalag 69, while the Market Rasen Mail enjoyed ‘the hilarious piano interval music’ and lamented ‘this play deserved a bigger audience’!